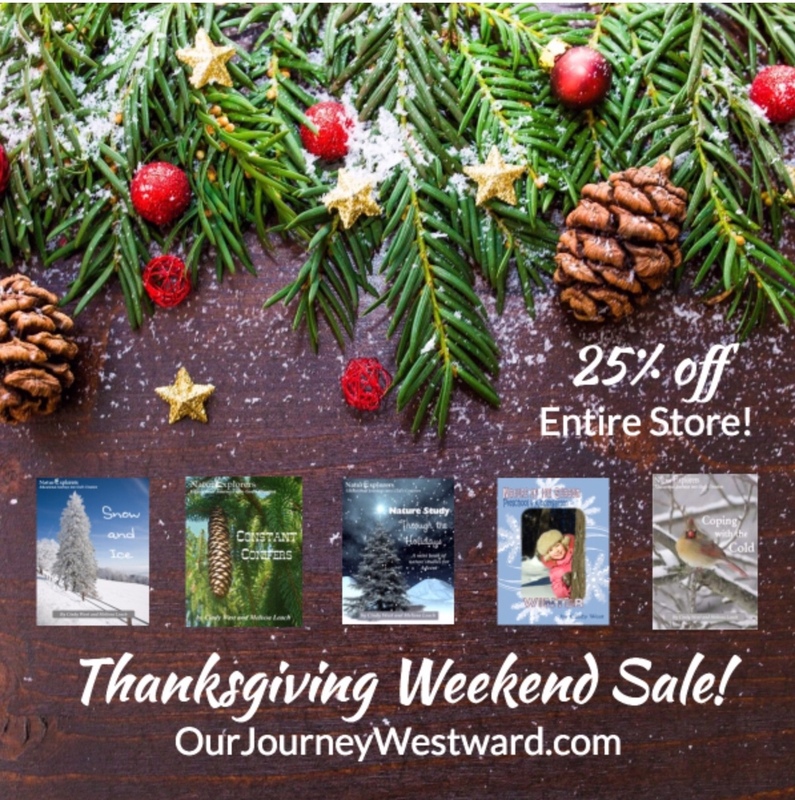 Cindy West over at “ Our Journey Westward” is having a site wide sale over Thanksgiving weekend. If you have never tried adding Unit Studies to your day, this is the perfect time to try one. Unit studies are great ways to infuse topics your children are totally fascinated with into your homeschool day. There are studies specifically designed for winter such as “Constant Conifers”, “Coping with Cold” and a few others. Check them out, your kids will love them !